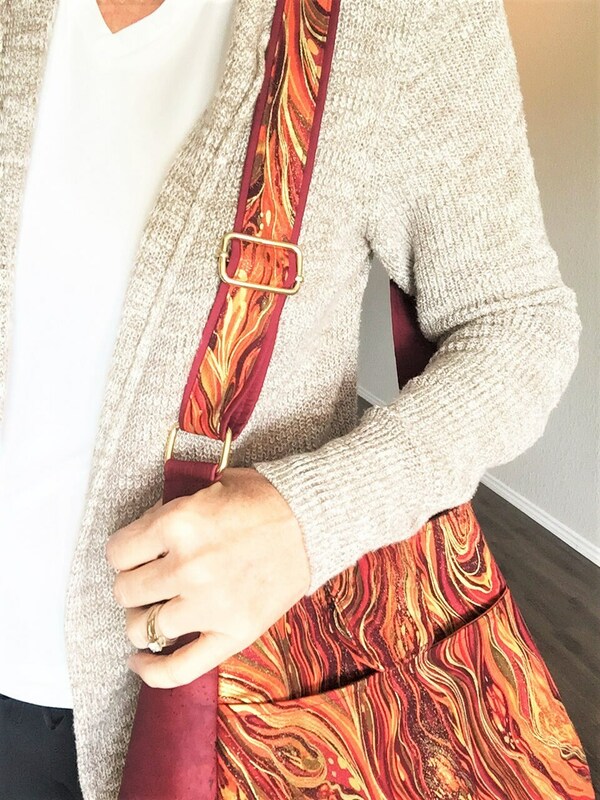 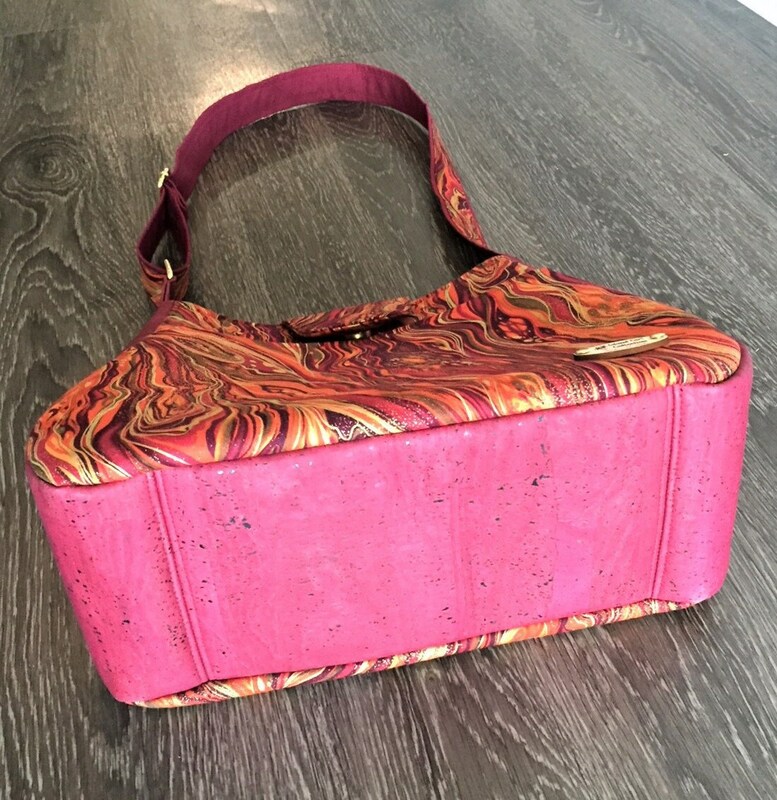 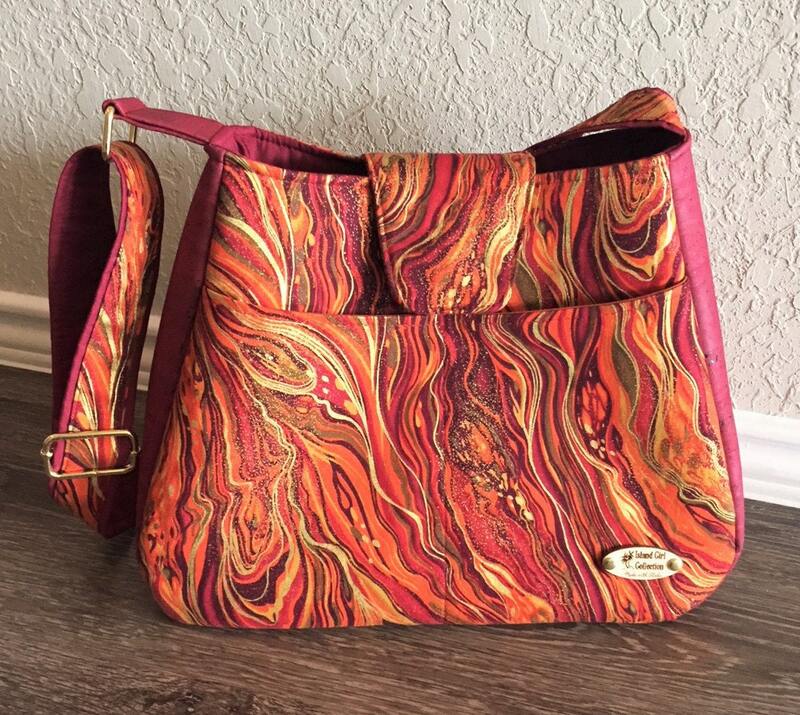 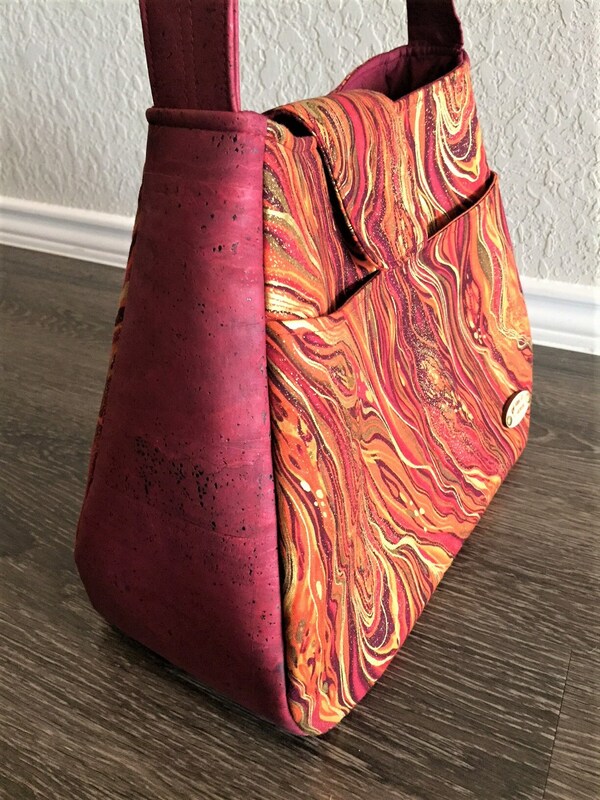 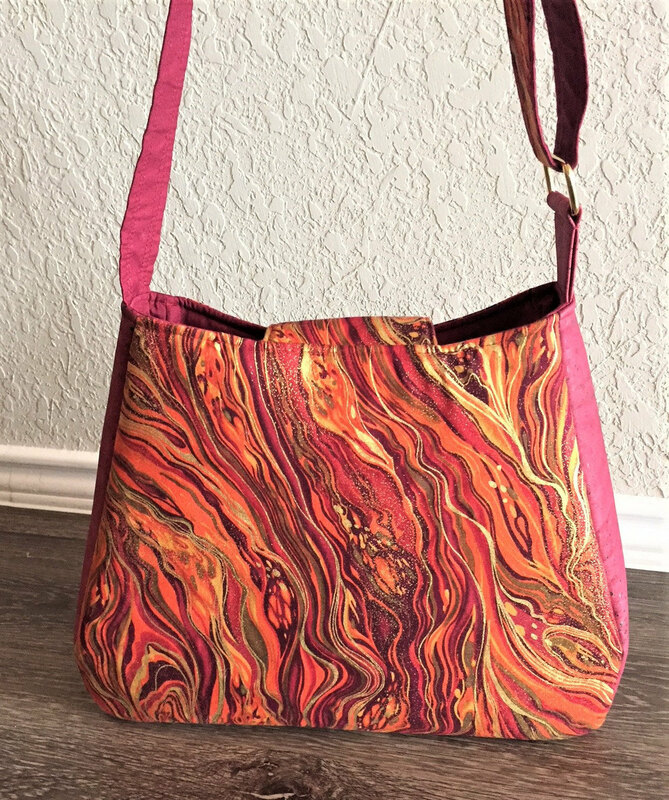 This beautiful bag is made with a gorgeous abstract marbling fabric and 100% Portuguese cork leather. 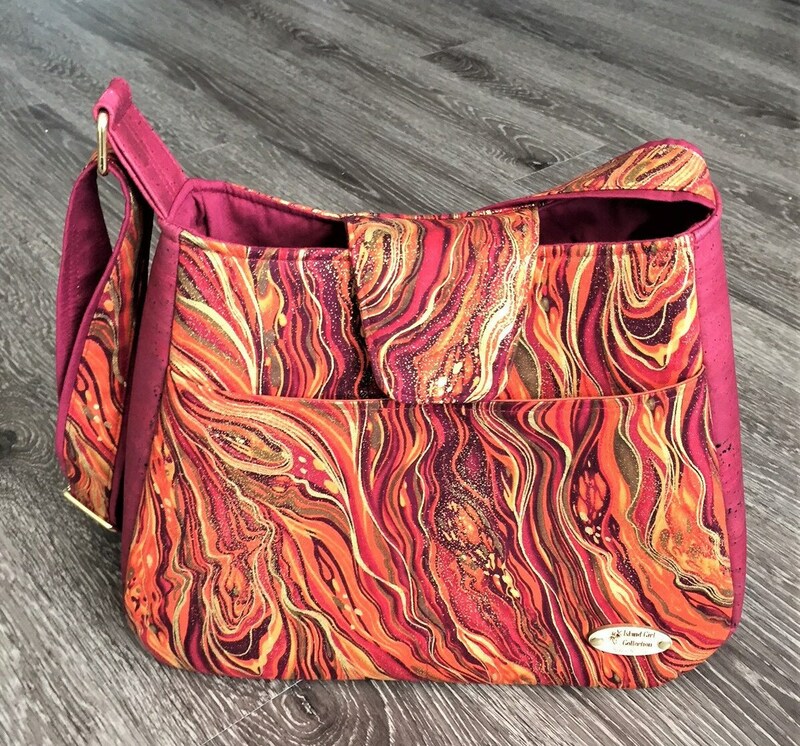 This bag is generous in size, rounded corners and has four slip pockets, two interior, two exterior and a zippered interior pocket. 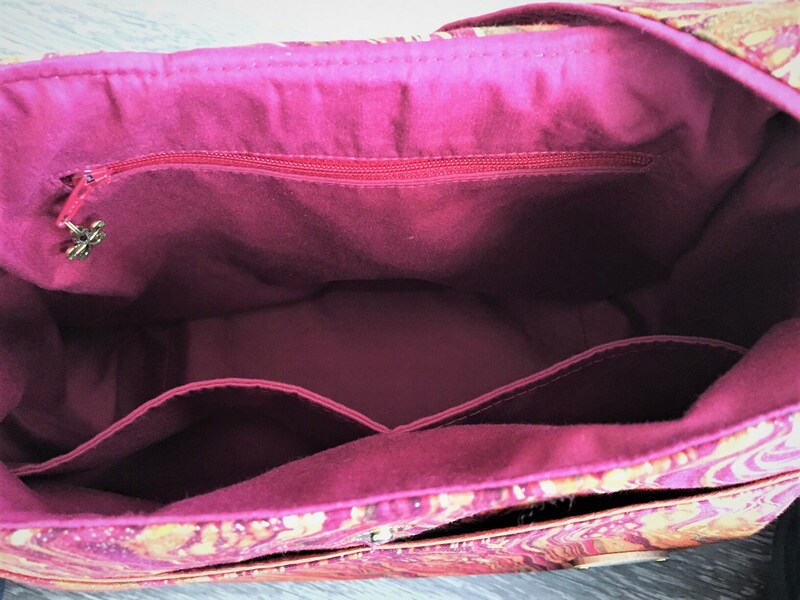 It has a magnetic snap flap closure and an adjustable strap. 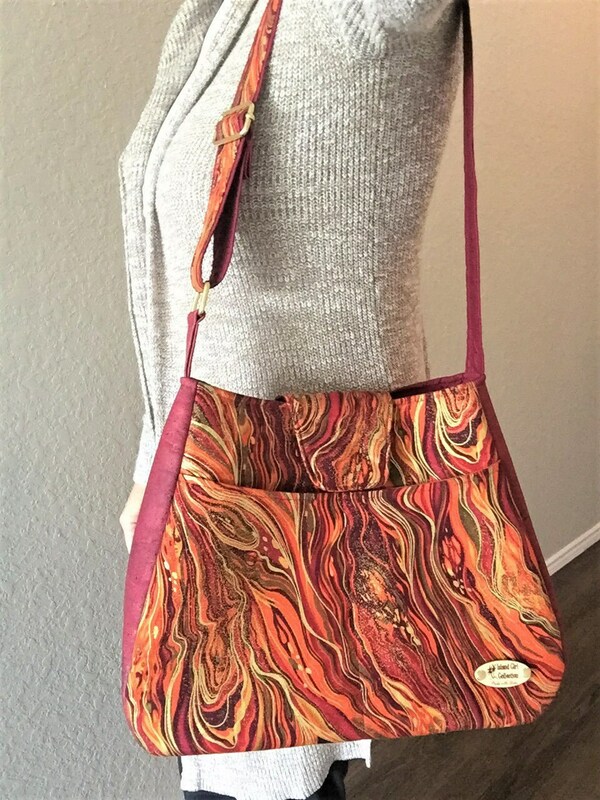 The fabric is gorgeous and reminds me of a Big Island lava flow. 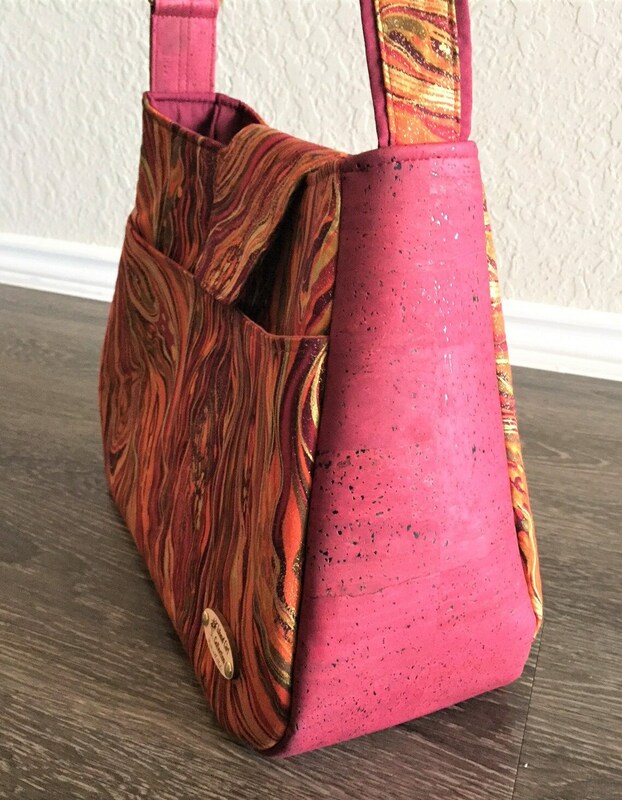 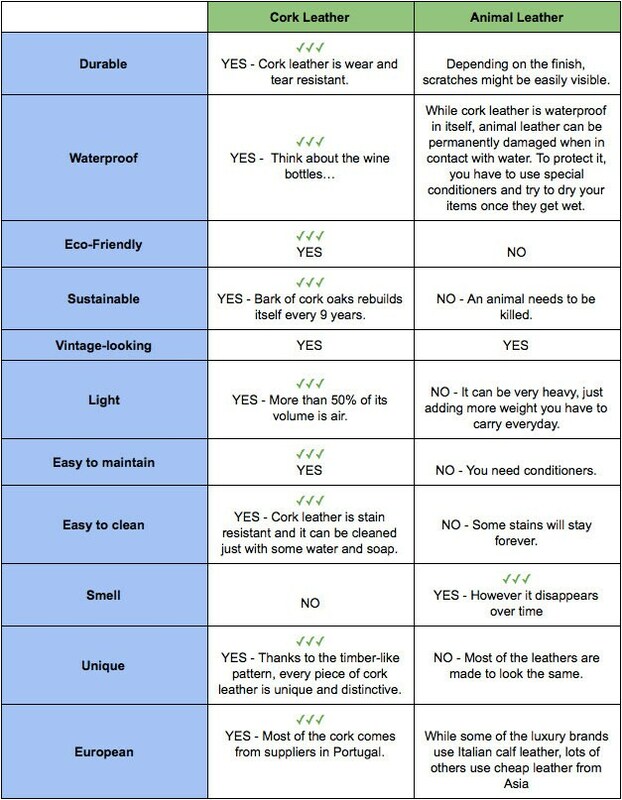 • Adjustable shoulder straps adjust from 19 1/2" 2" to 37" long; strap drop from 10" to 19"